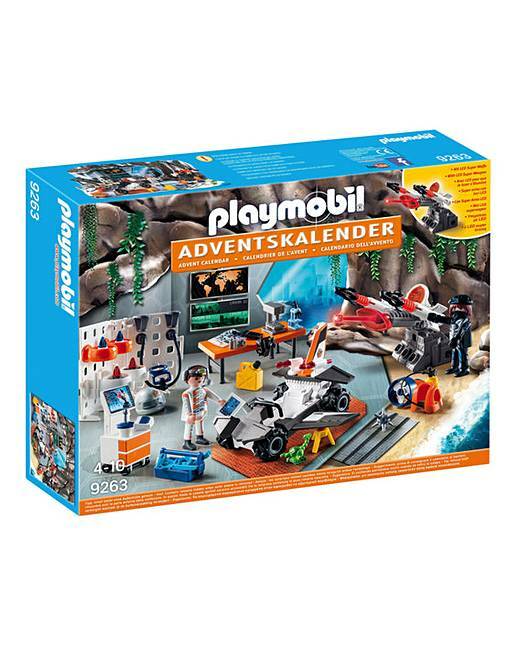 The Playmobil Top Agents Advent Calendar is the perfect way to count down to Christmas! 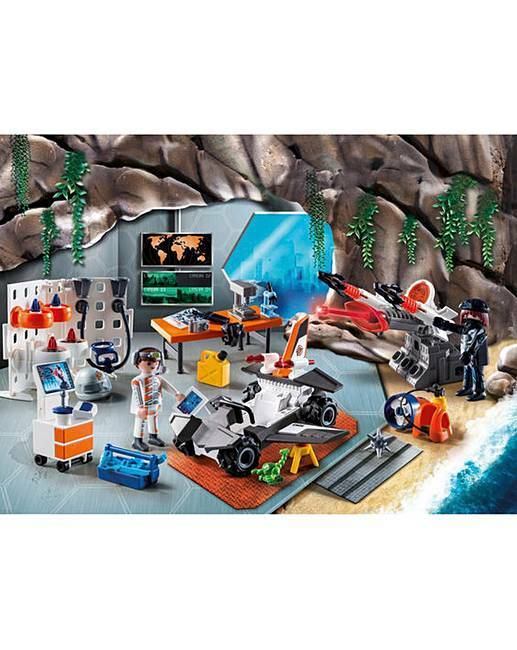 As each of the 24 doors is opened the Top Agents scene is slowly revealed showing the Playmobil Top Agents in ready for a futuristic adventure. The agent is diligently working on various gadgets, weapons and vehicles for the fight against the evil organisation that Dr. Drone created. But beware: one of Dr. Drone's henchmen is trying to attack the workshop. Can the agent successfully defend the workshop with the help of the powerful super weapon (2x button cells type 392 (LR41). 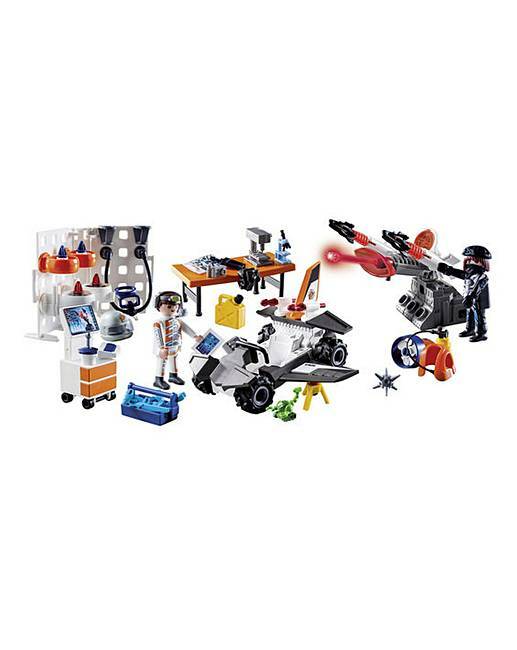 The set comes complete with 2 Playmobil figures, 1 LED super weapon and lots of accessories. 40 x 30 x 7.5cm.